This post brought to you by Zubie. All opinions are 100% mine. Zubie is the ultimate road trip buddy! I've been using my Zubie key for the last 8 weeks, and I love that it is measuring some of my driving skills (and deficiencies) to help me to be better (and more gas-efficient!) driver. 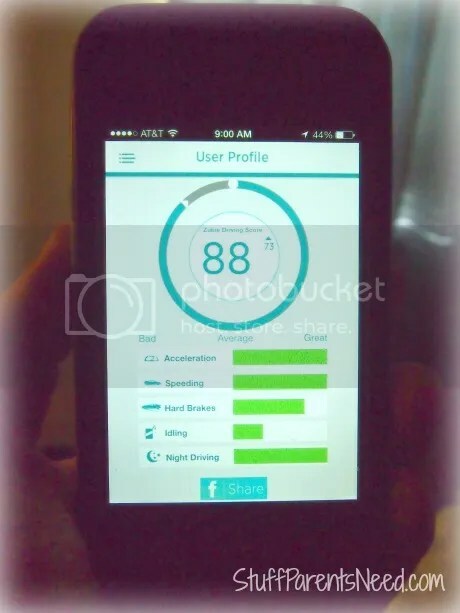 I recently checked out my driving score with Zubie (which actually measures how Tim and I jointly drive since we both use the car). Not too bad, if I say so myself! The area that needs the most work is on braking. And I do hate to throw my dear Tim under the bus, but it seems he has a bit of a heavy foot on the brakes, as 90% of the hard brake reports are from his driving sessions. Before I start to sound like I'm implying that he's an inferior driver, let me just go ahead and tell on myself for my faults: I'm terribly pokey, and I will do almost anything to avoid getting on interstates. So, I'm hardly without my driving flaws! I know we are just about to launch into graduation season (really…it's just 3 months away!). This would e a great gift for a high school or even college grad to help them learn to fine tune their driving skills, and to use when planning trips with friends, or to keep up with their family members if others have the Zubie key, as well. 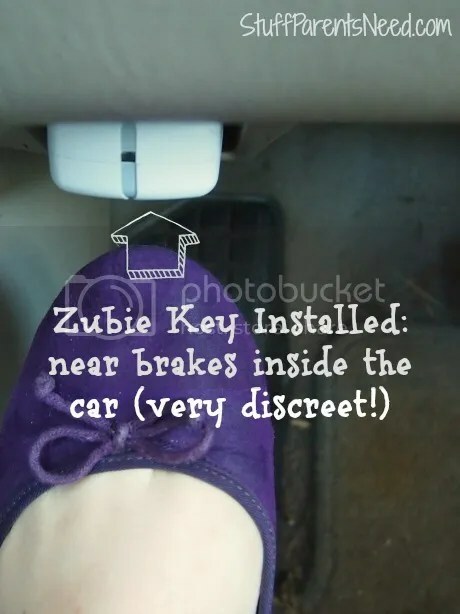 I love how discreet the installed Zubie key is. And I especially love that it isn't terribly easy for would-be thieves to see, either. in the unfortunate event that your car is stolen (crazy, but it happens!) the Zubie key will report back to you exactly where it is! I would have LOVED to have had something like this in my car when I lived in Memphis (very high car theft rate there). Sound like something you'd like to have or like to give as a gift? Then hit the road with Zubie! Order today and SAVE 20% by using code SAVE20FEB. The discount applies to your Zubie key plus one year of service! Offer good through March 31, 2014. Shipping charges apply. And don't forget to follow Zubie on Twitter as well as on Facebook. That's the best way to keep up with discounts, promotions, and cool ways that others are putting their Zubie keys to work! As I type this, my car is sitting in our back yard, in official "time out" for making some seriously bad noises (metal-on-metal….NEVER good). My only consolation while I wait for shop to open Monday morning so I can limp my car over (just 2 blocks, thank goodness), is that I already know that the problem isn't in the engine. How do I know? My Zubie Key told me. The Zubie Key, which fits into the standard port found in most cars, interfaces with the engine and the battery to let me know if there are any perceived problems or weaknesses. When I checked on my smartphone app that connects with the Zubie Key, I noted that thankfully, the engine seems to be having no problems. There's still a problem, to be sure, but it isn't in the engine. If it was in the engine, I'd be needing to brace myself for one killer auto bill. Dodged a bullet there, and I'm glad to know that now rather than having to worry about it all weekend. 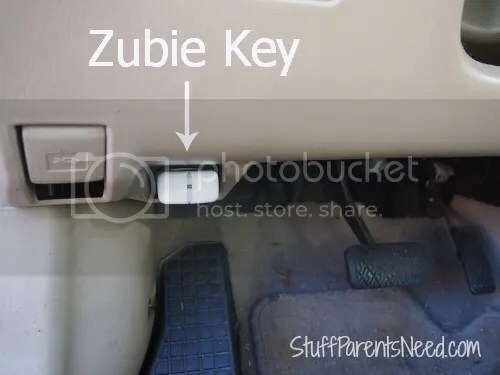 We've had the Zubie key installed for about 3 weeks now, and one of the features that impresses me the most is its ability to assist with safe driving. You'd better believe that I'll want one of these in my car when my oldest becomes a teen driver. I'm sent an alert whenever the car has a hard break. I have to admit, I'm aware of that notification, and it is making me actively work to improve my own driving skills. I also really like the real-time tracking location. While I feel safe in my neighborhood, I'm no stranger to living in a city with a high car theft rate (shout out, Memphis!). With the Zubie Key, you can track the location of your vehicle, even when you aren't in it! Great to know for keeping your family tracked without having to send text messages back and forth, and also great in the event that someone else decides that they want to steal your car. You (or rather, the police) can track them down, likely before they even realize that the Zubie Key is in place! And best of all, the Zubie app, which can help you coordinate a trip with other drivers, is completely free. You can get a feel for some of the great features the Zubie Key can offer before making the purchase. Give it a try; I bet you'll like it enough to get a Zubie Key. And you can order today with code SAVE20JANand SAVE 20%. Offer good through February 28, 2014. Shipping charges may apply. Keep up with the latest by following Zubie on Facebook and on Twitter. Still looking for a totally awesome gift for a loved one? I've got you covered, friends. Say hi to Zubie! Zubie is on its way to my house, just in time to slide under the tree before Christmas. It will be a gift for my husband and me, as we share a vehicle. We are receiving a key to test out Zubie over the next few months, and I'll be writing a few more blog posts so that I can give you the scoop, and let you know just how (if?) it is working for us. To prepare for our Zubie adventure, and to get fully schooled in all things Zubie, I decided to Follow @GoZubie on Twitter and Like Zubie on Facebook. 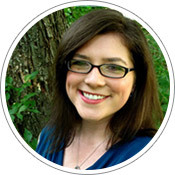 I find that being able to connect with brands on their social media sites is often a great way to get stellar customer service, and to get it FAST. It is also a great way to interface with other Zubie users and learn more about their experiences. Why Do I Need Zubie? 1. I'm very interested in the problem code notification. For example: "maintenance needed" is currently lit up on my dashboard. Tim thinks it means that we need an oil change. But it might not. And I've been putting off taking it into a shop because (a) What if it is a bigger, more expensive problem? and (b) What if it is absolutely nothing and I just wasted money? It sure would be nice to know before spending the time and money on it. 3. 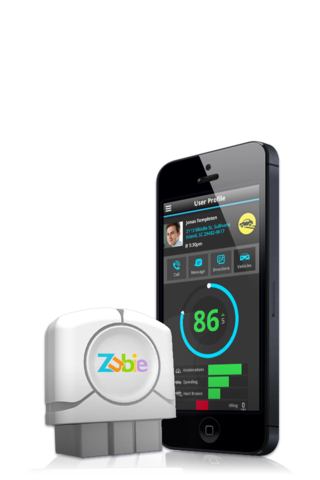 Zubie will send you an alert if your battery is dying. You get the message BEFORE there's a problem and you are stuck at a Sonic drive-in window for 3 hours in the blazing heat waiting for roadside assistance. And yeah, that totally happened to me. Ever since that happened to me (in 2001!) I have always held my breath for just a second while cranking the car, with it in the back of my head that the car might not start. Zubie is going to put that worry to bed once and for all. 4. Zubie will help me do this driving thing better. It can analyze your driving behavior and offer tips to help improve fuel economy and help you not wear down your car as quickly. I'm totally open to that sort of feedback so that my car will run longer and my gas dollars will go further. I'll be letting you know about my first few weeks with Zubie next month. But in the mean time, if this sounds like something that would be really nice to have in your vehicle, or if you still need a gift for a tech head or a car lover, then it really is the perfect holiday present. If you order today, use code SAVE20DEC and SAVE 20% on your Zubie key plus one year of service. Offer good through January 31, 2014. Shipping charges apply. See you on the road! Beep beep!